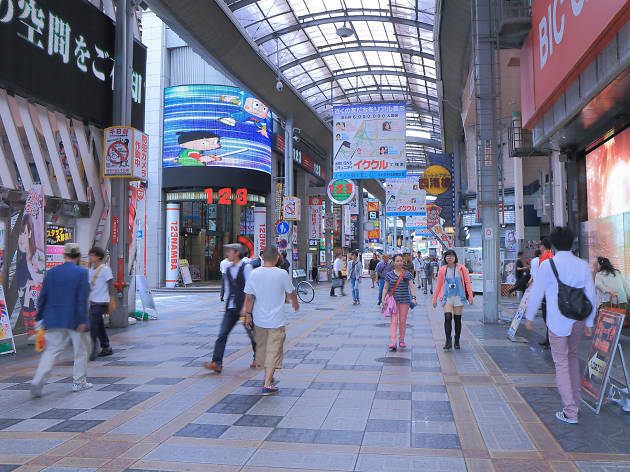 One of the best things to do in Osaka is "kuidaore," or "to ear yourself broke." Are you ready for that? 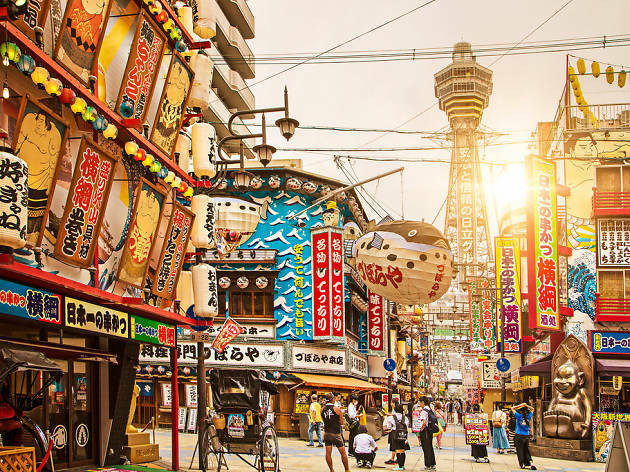 Known within Japan as the home of many a comedian, this city is louder, brasher and often more merry than Tokyo—making the best things to do in Osaka some of the top activities in Japan, period. The locals here also like to eat, so much so that they have a word for it: kuidaore, or “to eat yourself broke” in the local Osakan dialect. Leaving this city hungry (or with a full wallet) is a no-go. 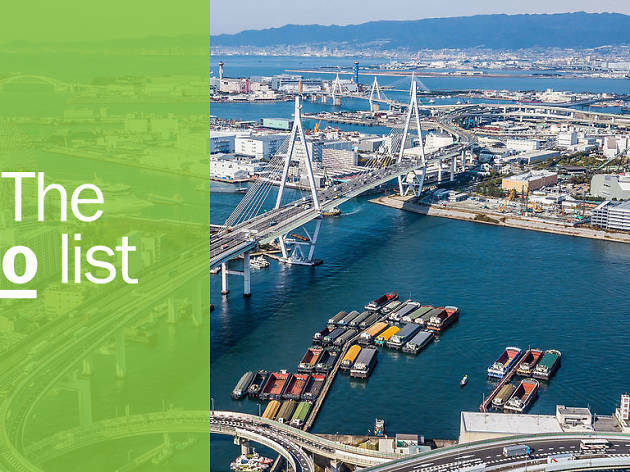 The centre is relatively compact, but don’t let that deceive you: to really get underneath Osaka’s skin, you’ll need at least a couple of days of walking, eating and drinking. 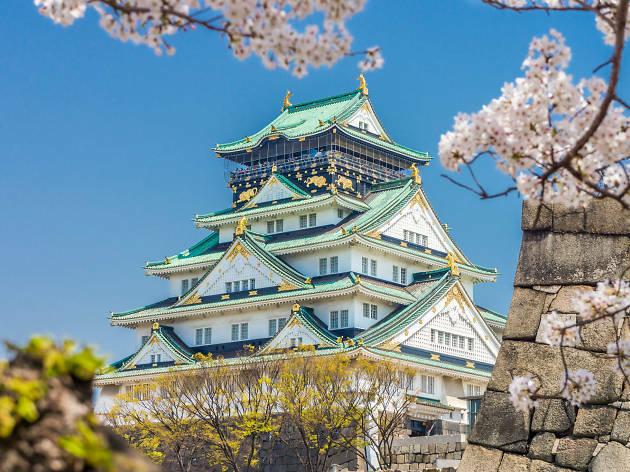 That includes highlights such as pretty Osaka castle and feisty Dotonbori, to more far-flung corners such as Sakai and, of course, many, many eats in between. 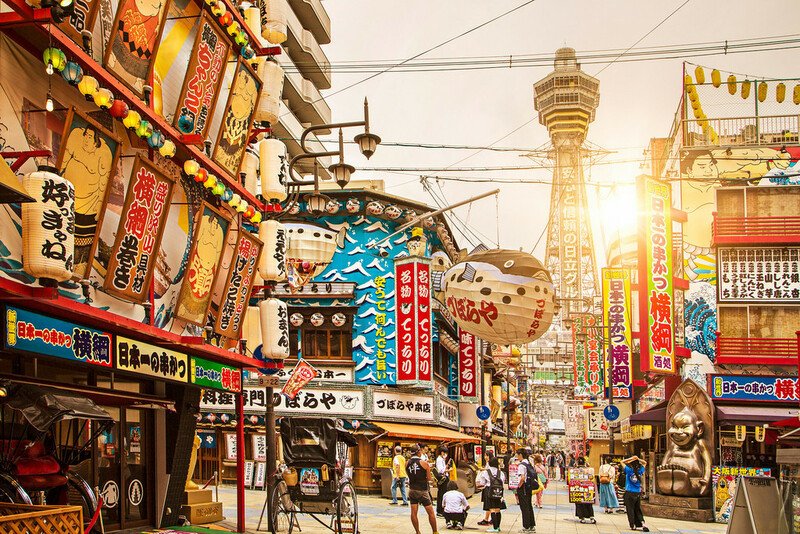 If you're deciding where to stay in Osaka, find the very best things to do in the city so the top activities are just a short distance away. What is it? A beautifully renovated castle, and one of Japan’s most famous to boot. Why go? Unlike neighbouring Kyoto or Nara, Osaka doesn’t have a whole lot of traditional architecture left, but their castle is a sight to behold. The top floors have some pretty interesting exhibits, and the entire area turns pink during cherry blossom season, making it a very popular picnic spot. Beautiful as it may be, go in winter to avoid the extreme crowds. What is it? 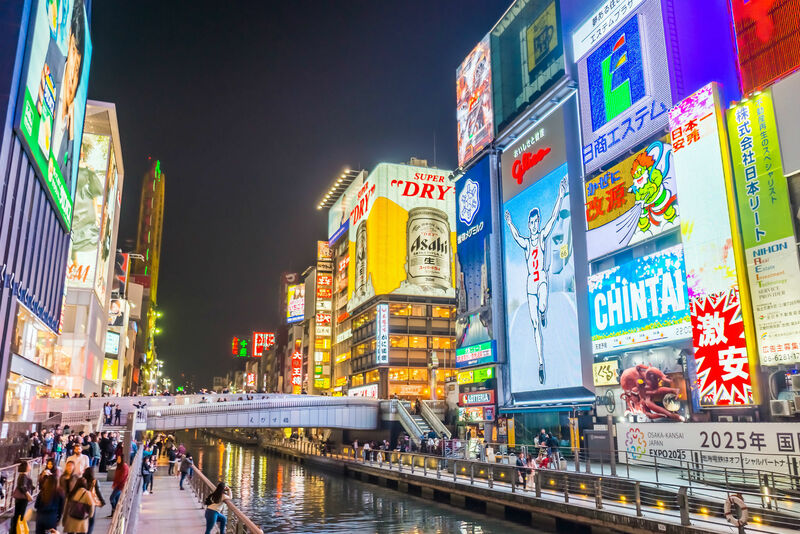 Osaka’s premier entertainment district, chock-full of bars, restaurants, shops and more, all set along a small canal. If you’ve ever seen a photo of Osaka that’s not of the castle, it was probably taken here. Why go? 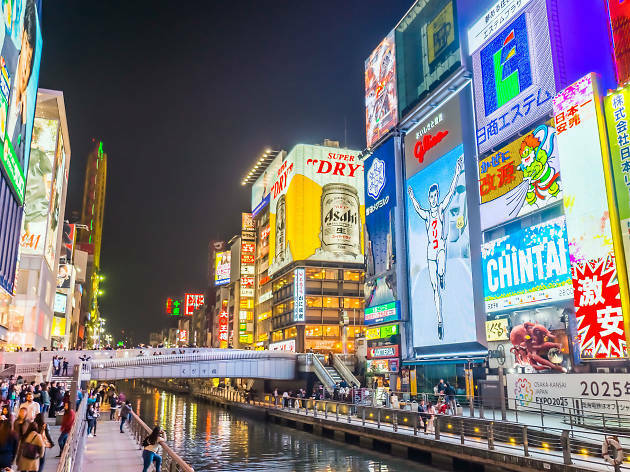 Dotonbori is what Osaka is all about: food, drink, and good company. It’s touristy, yes, but don’t let that deter you: there’s so much crammed into this space that you’ll find something to your liking. Walk, eat, shop, repeat. 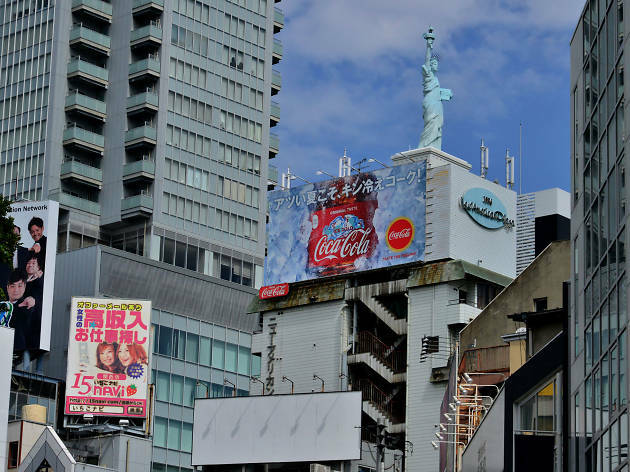 Plus, have you really been to Osaka if you haven’t snapped a selfie with the neon Glico Running Man sign? What is it? One of Osaka’s local specialties is kushikatsu: deep-fried skewers of your favourite meats, vegetables and occasionally unidentifiable ingredients. The restaurants around Shinsekai do it best. Why go? 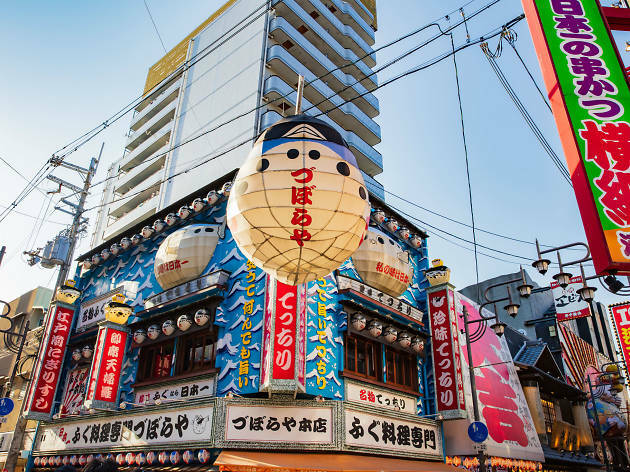 Legend has it that kushikatsu was born in the backstreets of Shinsekai. True or not, it would explain the excessive amounts of restaurants dedicated to the skewers. 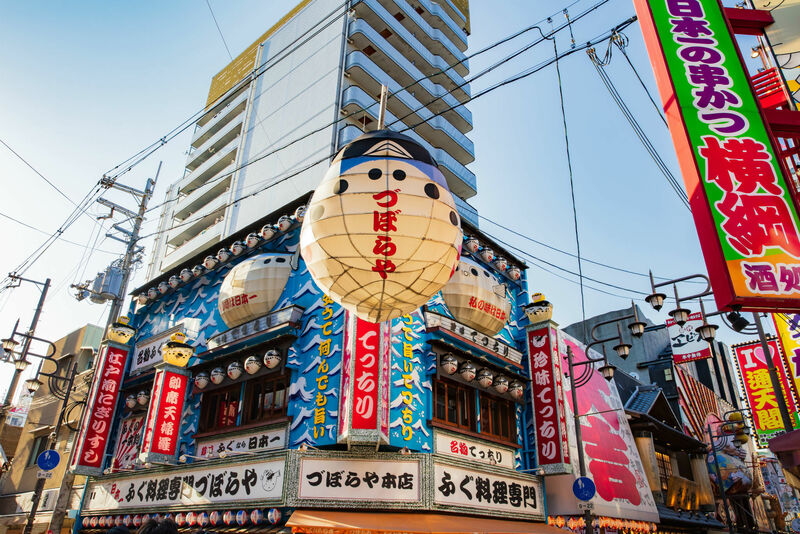 Kushikatsu Daruma is the most famous joint, but if you want a fun DIY experience, try Kushikatsu Baikingu Daitoryo, where you can fry your own skewers. The only rule? No double-dipping. What is it? Osaka’s premier English-language comedy club. Why go? 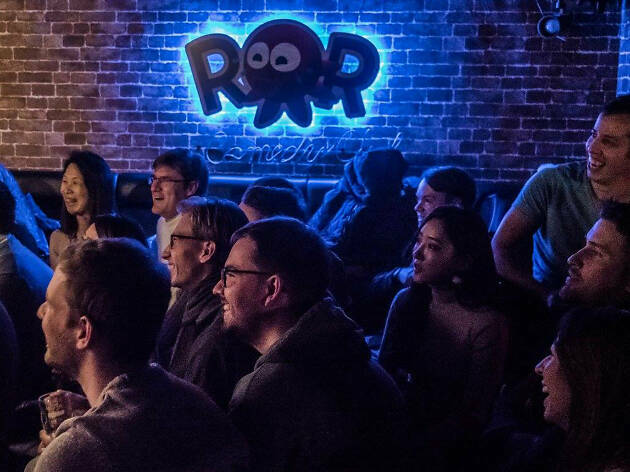 Sure, Asia may not be a continent that's famed for its comedic outputs, but the ROR Comedy Club is a popular venue that's well worth a snoop around. Erupting vibrantly onto the comedy scene in 2011, the spot is now a celebrated venue that hosts both local talent and award-winning international acts that any comedy fan would recognise. You can expect open mic nights as well as bookable sets. Worried about the language barrier? Well, if you're not blessed with suitable Japanese linguistic skills, then don't fret – ROR has shows in English, too. What is it? 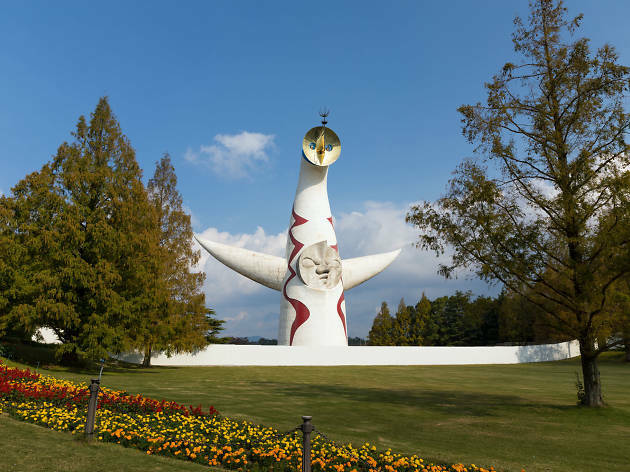 A tower built by artist Taro Okamoto, re-opened to the public in 2018. Why go? 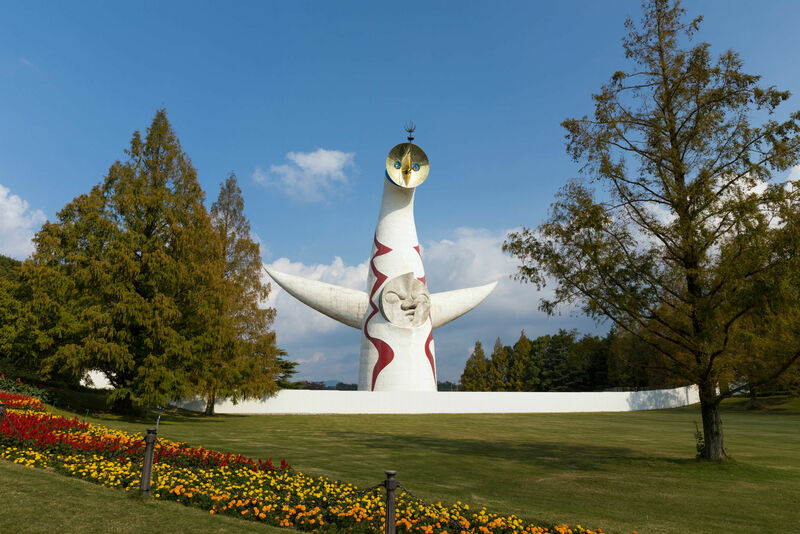 Built for the 1970 World Expo, this three-faced structure (the faces representing past, present and future) was closed to the public for a good 50 years. After getting some much-needed renovation love, it reopened in March 2018. The exterior is interesting in itself, but the vibrant ‘Tree of Life’ interior design is more than worth the effort of getting a ticket. What is it? A covered market full of street eats and local specialties. Why go? 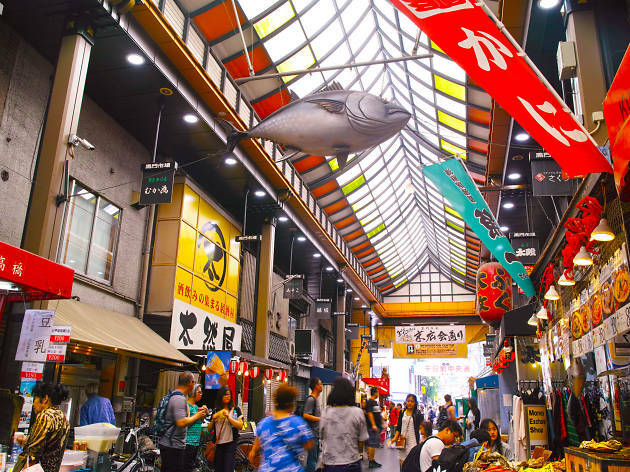 Kuromon Market is one of the better places in the city to snack yourself through. 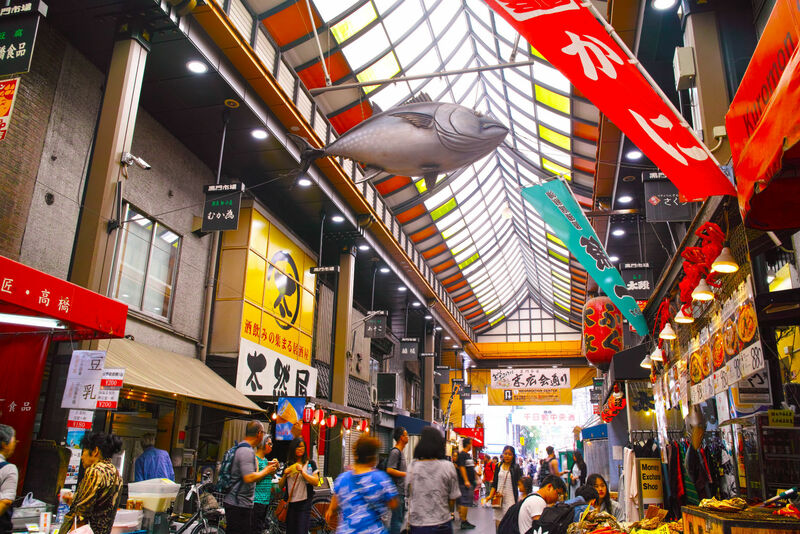 Grab some of the many seafood skewers, plonk yourself down in any of the sushi restaurants (try some oshizushi, a local version of sushi), or just pick up a bag of pickles – it’s bound to taste good. What is it? 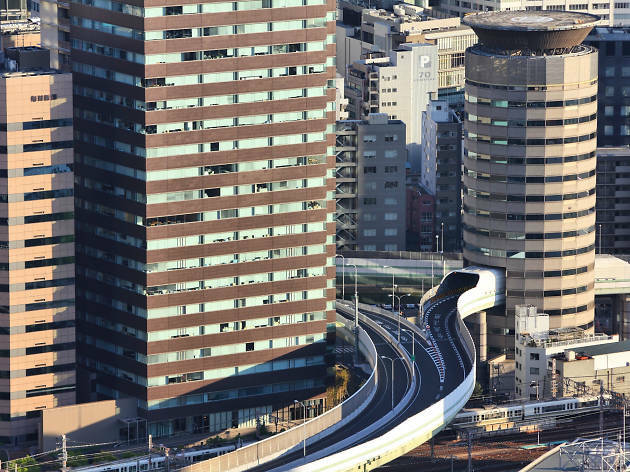 A highway that runs straight through a building. No, really. Why go? It’s a land dispute-meets-architectural-quirk that is certainly memorable. The government planned a highway, the landowners planned a building – the compromise was a highway that runs through floors five to seven, and an elevator that skips from the fourth to the eighth floor. Ingenious, and a seriously cool photo opp. What is it? 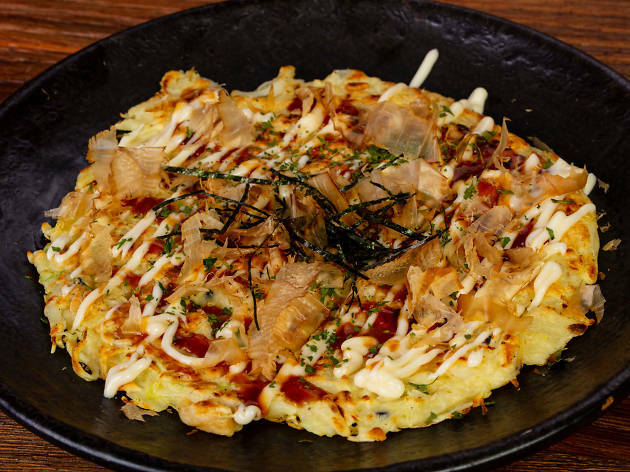 An old-school restaurant serving one of Japan’s favourite soul foods: okonomiyaki, a type of savoury pancake. Why go? Osaka is the birthplace of this glorious snack. Part of the wider ‘B-Gourmet’ culture, they’re usually cheap, filling, and damn well tasty. 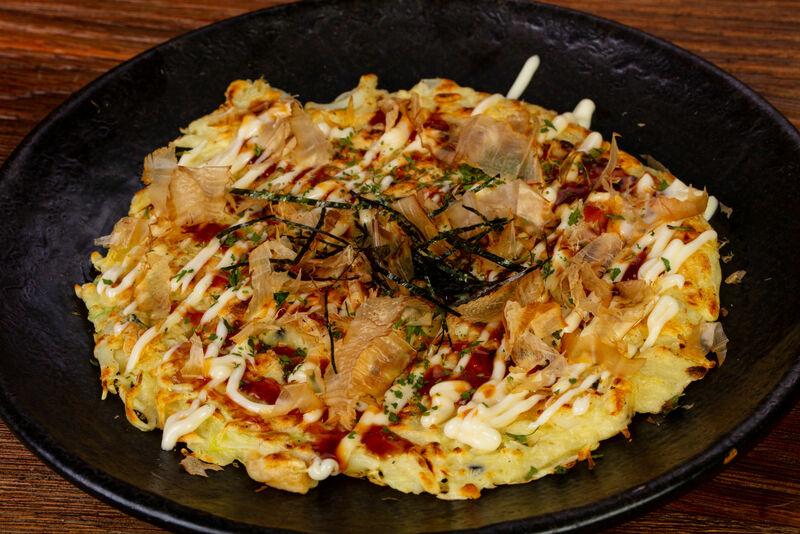 That doesn’t mean quality is skimped on, however: the okonomiyaki (go for the butatama, minced pork) at the old-school Okonomiyaki Fukutaro is cooked to order and made with freshest ingredients. What is it? 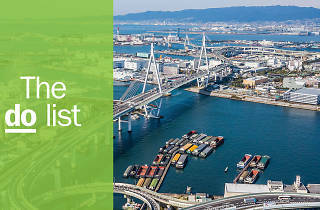 Sakai is a port town just south of Osaka, known for its blacksmiths and knife makers. Why go? Any chef, professional or not, will wax lyrical about Japanese knives – and Sakai is where they’re from. 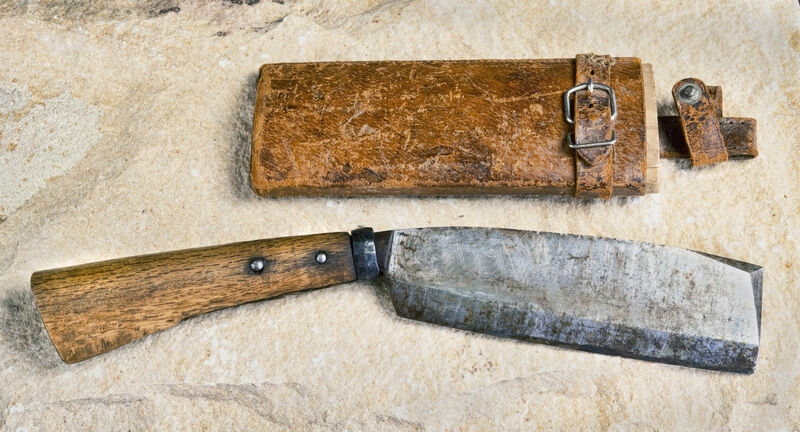 You’ll find knife workshops dotted around the old town, but for a crash course, the Hamono Museum is the place to be. 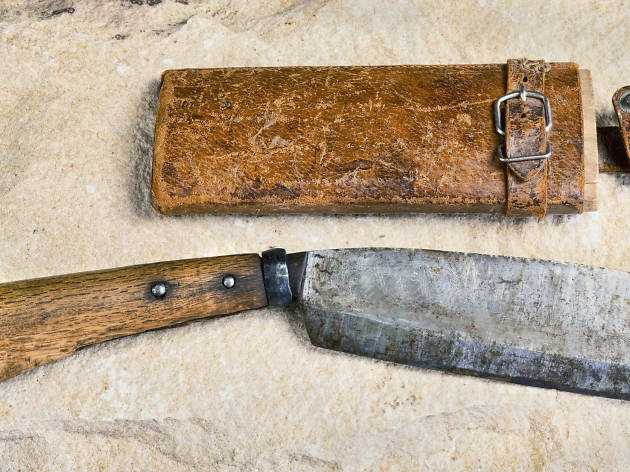 Their souvenir shop, full of knives, is more than worth a browse too, and they have some hands-on experiences too. Just keep an eye on what you're doing, ok? What is it? 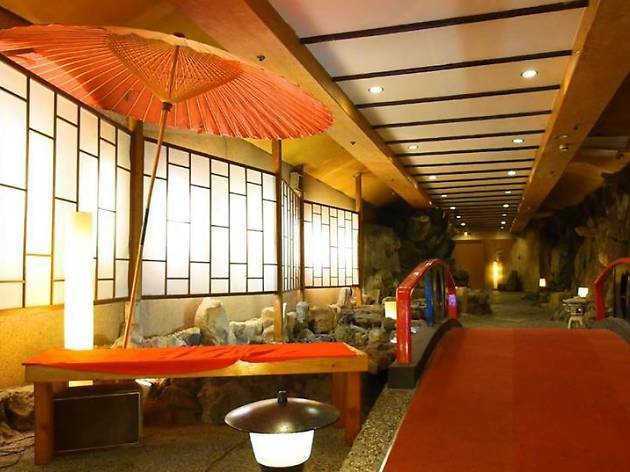 Originally built as a one-stop entertainment hub, Misono is home to bars, restaurants, banquet halls, a hotel and more. Why go? It’s the second floor with its tiny bars that you’re really here for. Each bar spans just a few square metres and has its own theme; just take a chance on one and immerse yourself in Osakan drinking culture. But more than that, it's a generally handsome building – making it great for getting that perfect holiday insta-snap. What is it? A street full of anything you’d ever need in a kitchen. Why go? After all that eating, you might just want to try your hand at making some of that goodness yourself. Or perhaps you’re just a sucker for nice tableware? 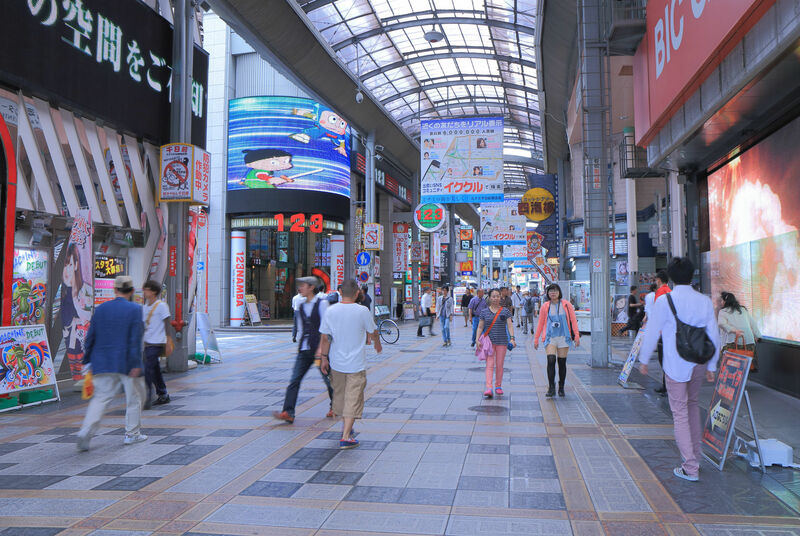 This covered shopping street, a local favourite, will definitely be able to sort you out, whether you’re after a takoyaki pan or a pretty rice bowl. What is it? 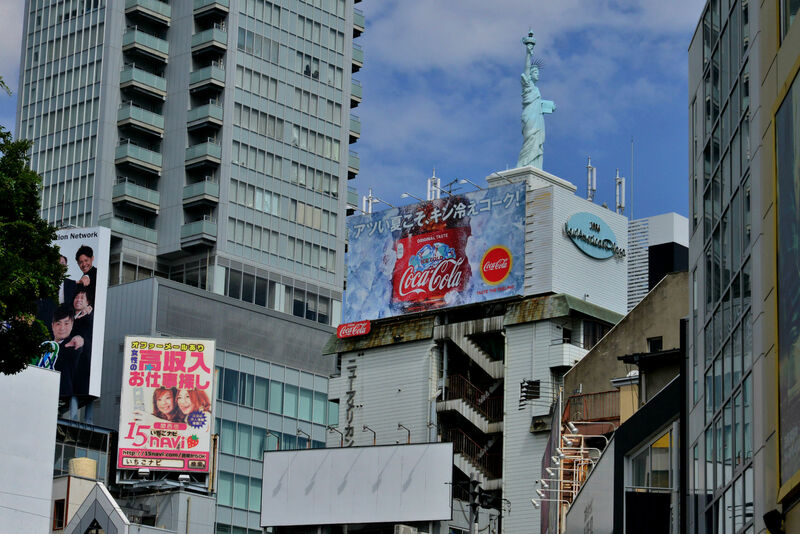 ‘Ame-mura’ (short for ‘Amerika-mura’ or ‘America village’) is a small, funky district of import stores and internationally minded bars. Why go? There’s even a Statue of Liberty. The statue itself isn’t particularly impressive, but it does highlight the quirkiness of the surrounding neighbourhood. You’ll find plenty of secondhand ’90s sportswear and Americana memorabilia here. To people-watch, just hang out in Sankaku-koen (Triangle Park). If it all gets a bit too much, escape to Shinsaibashi’s Standard Bookstore down the road, which has a nice café in the basement. 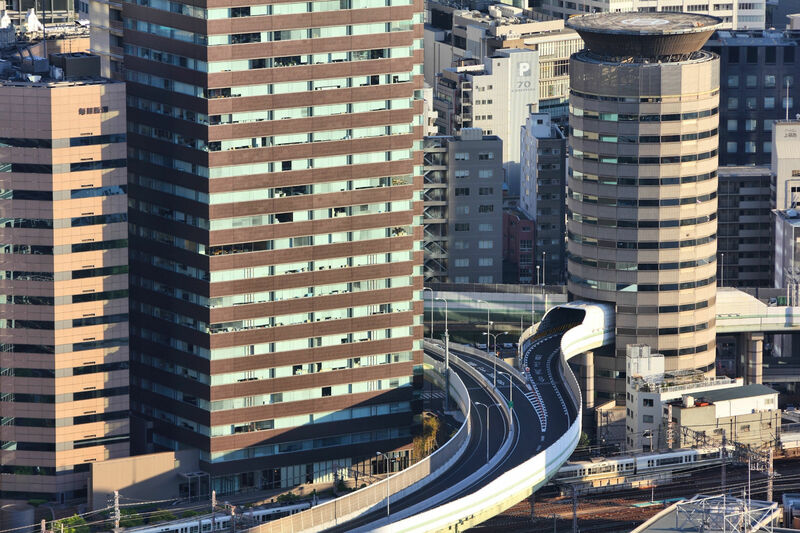 Looking for places to stay in Osaka? 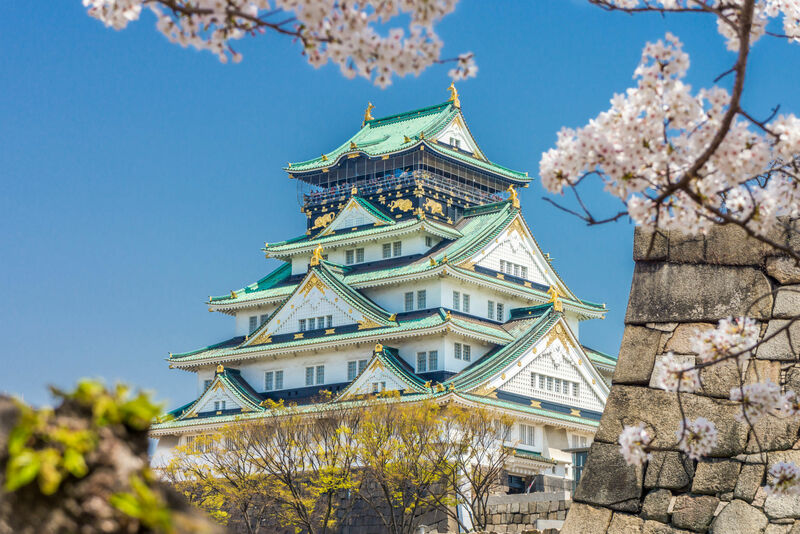 Japan’s boisterous second city boasts everything from neon-frenzied Namba to the quieter surrounds of Osaka Castle. Find all the best neighborhoods in town, including top attractions, nearby eats and activities that are not to be missed.